Stocks were higher on Wall Street in midday trading Tuesday, erasing the market’s modest losses from a day earlier. Gains in financial and technology stocks outweighed losses elsewhere in the market. Progressive climbed 6.2% after its latest quarterly earnings topped analysts’ forecasts. Chipmakers were among the big gainers in the technology sector. Advanced Micro Devices rose 2.5%. 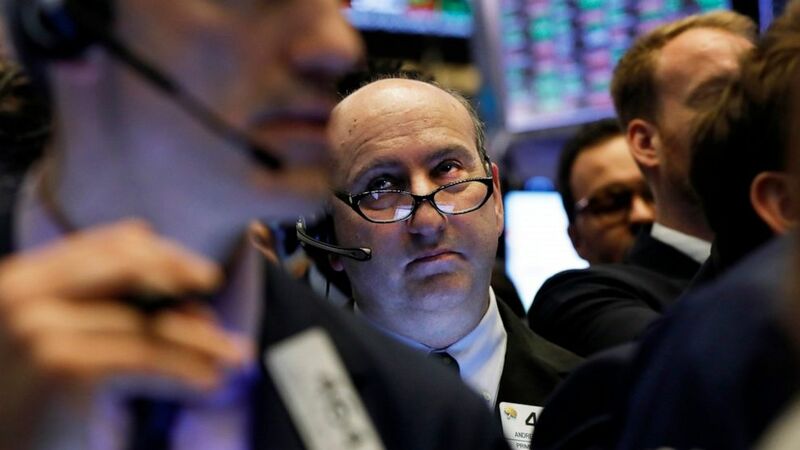 Tuesday’s early rebound for U.S. stocks followed gains in markets overseas, which rallied on upbeat economic data from China and Germany. KEEPING SCORE: The S&P 500 was up 0.1% as of noon Eastern Time. The Dow Jones Industrial Average gained 60 points, or 0.2%, to 26,445. The Nasdaq composite added 0.3% and the Russell 2000 index of small-cap stocks picked up 0.1%. Stock indexes in Asia finished higher. European indexes were headed higher. BEATING FORECASTS: Johnson & Johnson rose 2.1% after the health care products company’s first-quarter results topped Wall Street’s forecasts, even after the company said its profit slumped 14% following a decline in sales overseas and higher costs for research and litigation. CLEAN BILL OF HEALTH: UnitedHealth Group, the nation’s largest health insurance company, gave up an early gain, shedding 2.9% after beating first-quarter earnings forecasts and raising its estimates for the full year. MIXED RESULTS: Bank of America slid 1.6% after the nation’s second-largest bank reported strong earnings growth, but gave a weak forecast for net interest income, a key performance metric for banks. OFF TRACK: JB Hunt Transport Services fell 3.3% after the trucking and logistics company’s first quarter profit and revenue fell short of Wall Street forecasts. IN A BETTING MOOD: Scientific Games climbed 6.5% on news that the maker of betting machines and technology is partnering with Wynn Resorts to help develop digital sports betting and gambling. Wynn added 0.9%. Trump Lauded Farmers, Medicare and AIDS Programs. Then He Unsheathed the Budget Knife. March 12, 2019 Comments Off on Trump Lauded Farmers, Medicare and AIDS Programs. Then He Unsheathed the Budget Knife.